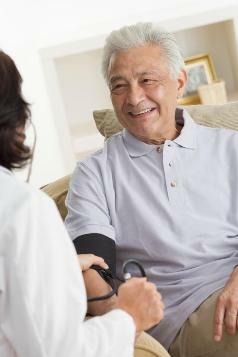 If your aging parents are healthy and vibrant, talk to them now about senior health care issues. If they have already had struggles with health and illness, you can help them manage their care for their best life if you learn to talk to your parents and all the care providers around them. As your parents age, their bodies change and respond differently in the world. You have to help your parents be advocates for their best health. As they need your support, you need to be prepared to stand with them. One of the most important skills is to be able to talk to their doctors. The standardized way doctors are trained works against them being able to recognize and address the unique needs of senior health care. To avoid being dismissed or misunderstood or experiencing a misdiagnosis, there are things you can help your parents prepare for and learn. Just as you take your children to a pediatrician, there are specialists in the issues of geriatric health care. You can work with them to understand the distinct progressions of illnesses and treatments in your aging parents' bodies. They will introduce you to the unique needs for senior fitness. They can help you learn what to pay attention to in the aging process, and even give nutritional tips for your aging parents. In our era of medical specialization it is not uncommon for your elderly parents to be visiting multiple doctors for their senior health care issues. If one doctor is treating blood pressure, another for diabetes, another for breathing and another for kidneys… it is fairly easy to have multiple medications that could easily create new interactions with each other. You can learn to help your parents monitor and manage the effects of these medications and learn the signs of over-medication. "Primary Care Doctors May Overlook Elderly Patients Mental Health"
You are the one who knows your parents the best. Doctors only see them over an extended period and won't notice the day to day changes. Your parent may not bring up the changes, and doctors may fail to ask. It is essential that you and your parents know about the signs of elderly depression. You may need to know for someone in your own family, or maybe to save a friend. Senior citizens are often susceptible to community flu and viral outbreaks. The diseases they contract can be much more severe, and require longer recovery times. It is essential that they follow recommendations of doctors to practice the most effective flu prevention techniques. There may come a time when your parents may experience an extended hospital stay. A hospital admission for elderly parents can have devastating effects for your parent and the extended family. You can learn to build a health care team from the variety of specialists that you will encounter. In the midst of automated medical protocols and “routinized” procedures for senior health care issues, you can learn to ensure that your aging parent’s unique identity and needs stay at the forefront for their best care. When your parent emerges from the hospital, you can collaborate with the other professionals, such as hospital social workers, to create a discharge plan and access the senior health resources in the community. Perhaps even embracing alternative medicine will help your parent claim the most energy, contentment and pleasure from their life that they can. Finally, you can help your parents with advance care planning. They can make decisions, now, that will help shape the quality of their life at the end. They will be able to name a person, now, who could speak on their behalf as their health care power of attorney, if they are unable to make decisions for themselves at that time. You can help them complete an advance directive so their wishes are preserved in writing and become a legal document that supports the quality of life they desire until the end. Discuss essential flu protection with your aging parents during peak flu seasons. What to do during an outbreak.